Volusia County Property Appraiser Florida 24 Hr Rtn. Have An Voulsia County Appraisal Question ? 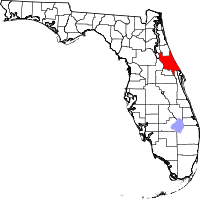 In 1854 Volusia County Florida was created. There is a Port of Volusia along the St. John’s River which it was named after. As Florida has developed over the last 50 years so has Volusia County. Notable areas include Ormond Beach, Daytona Beach, Daytona Beach Shores and Deltona. We appraise real estate in all these areas. In Volusia County we appraise single family homes, condos, condominiums, vacant land, houses, manufactured homes, mobile homes and modular homes all over Central Florida.